Need an affordable live, online and simulcast platform just for you? - For only a pay per post - Please visit our friends at APRO.bid you get your own FREE landing page with Cataloging and Clerking for you Live, Online, Simulcast and Multi-Par auction needs! 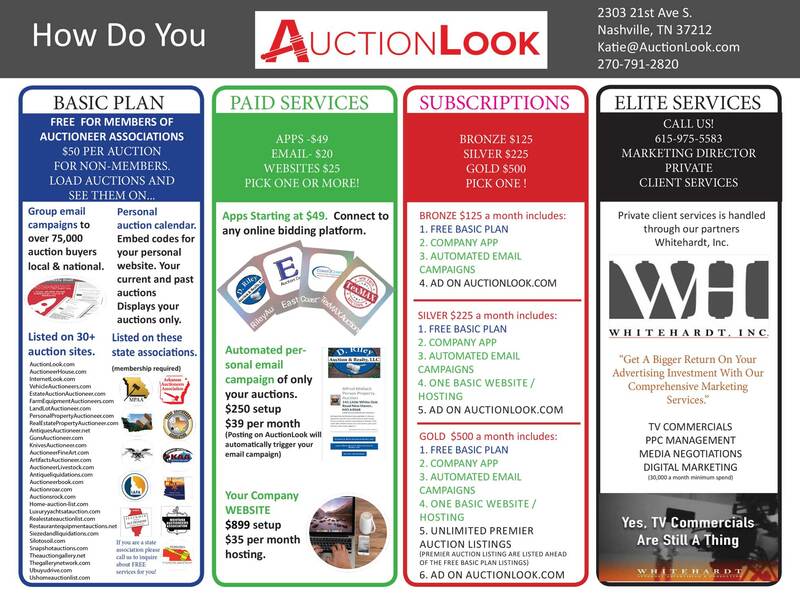 Your auctions will automatically go to AuctionLook.com’s platform! Open full size PDF in new window.